Are you looking for uniqueness and convenience? Would you like to own a home on a quintessential Graduate Hospital garden block with absolutely no street traffic? In warm months, homes on this block are complemented by lush, green gardens that run the length of the block and are gated by original ironwork. 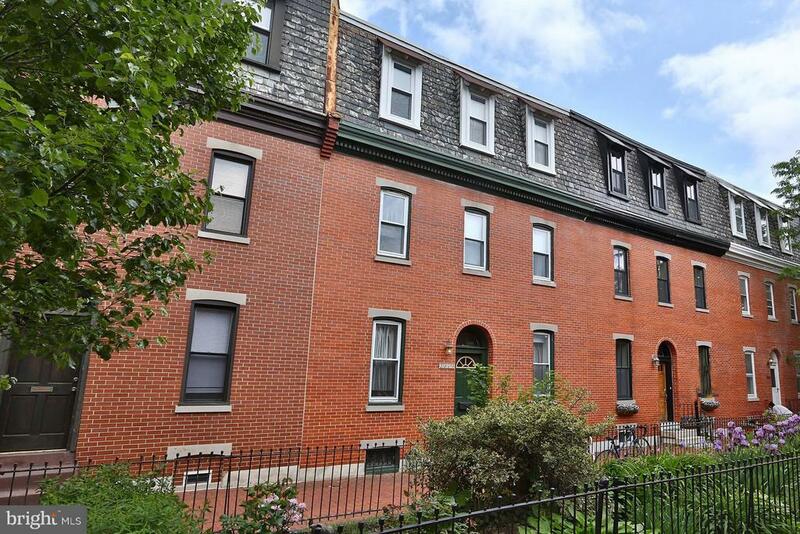 This three-story, FOUR BEDROOM, 1.5 BATH townhome is available for sale. Thoroughly updated and upgraded, it retains its irreplaceable and rare original style and appeal. The first floor contains spacious living and dining areas, and a RECENTLY RENOVATED CUSTOM KITCHEN, complete with cherry cabinets, multi-tiered granite counters, with seating if desired, and stainless steel appliances. A wooden-fenced private back patio is perfect for outdoor dining. The first floor also contains CUSTOM WOOD STAIRS with a sunlit vaulted staircase.The second floor has a full hall bath and two bedrooms with lots of sunlight and windows. The updated third floor hall half bath and two bedrooms, with deep window sills, complete the upper level. Hardwood flooring, central air, and plenty of basement storage. Conveniently located near countless restaurants and cafes including Ultimo Coffee and The Sidecar Bar and Grille, the Schuylkill River Park, center city, the University of Pennsylvania, Drexel University, CHOP, HUP, and I-76. Walk to Car access to the property is at rear of home and is perfect for grocery deliveries and loading and unloading the car. Bike or walk everywhere from your lovely retreat on one of the most picturesque blocks in the region. Walkscore labels this home Very Walkable, a Bikers Paradise, and Excellent location for Transit options.